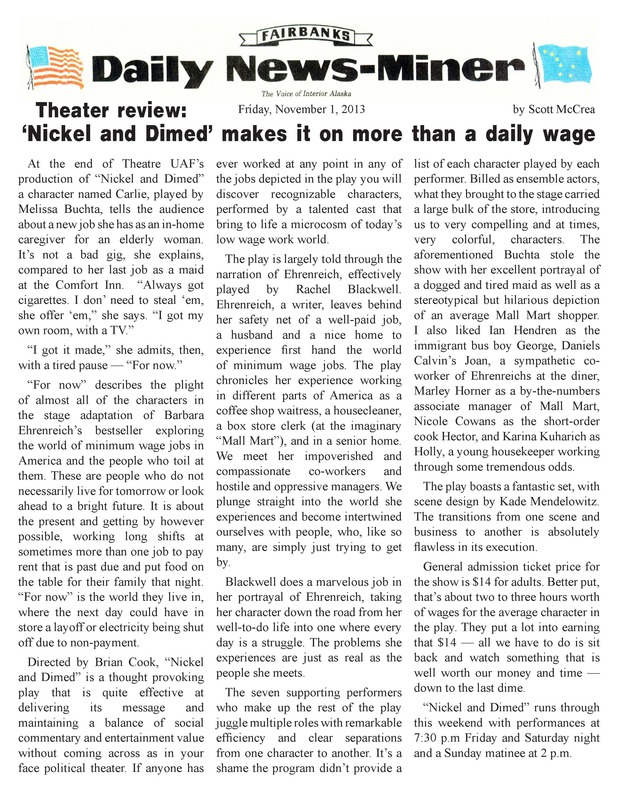 Published November 1, 2013 at 2550 × 3300 in News Miner “Nickel and Dimed” Review. The review is in: we have a hit! Would you like to download an easy-to-print pdf version of this review? Or, click the image for a high-res version.